Sheetal Jaitly is the CEO of TribalScale. He is a charismatic entrepreneur, an avid investor, and a 20-year veteran in the tech space. Sheetal is passionate about innovation and technology’s potential on both local and global scales. Sheetal isn’t afraid to roll-up-his-sleeves and he works with all TribalScale’s teams. Sheetal lives in the future and takes his unique perspective to support and guide brands through their digital transformations. He works with organizations that range from startups to enterprise, and helps them become innovators in a rapidly changing industry. Sheetal is an active tech investor and works closely with TribalScale Venture Studios. Sheetal breathes and lives innovation, he helps clients create digital solutions that revolutionize their business, and enhance customer experiences. Sheetal is a firsthand witness of technology’s potential to transform businesses. Sheetal’s career began with Keating Technologies and the launch of the Palm Pilot. Then, at Xtreme Labs, acquired by Pivotal Software in 2013, he led the media vertical and made a name for himself in the industry for his mobile expertise. He gained extensive experience in scaling for growth, digital product positioning, and strategic development and investment. Sheetal is a strong believer in the power of community. He regularly speaks and volunteers at industry events. 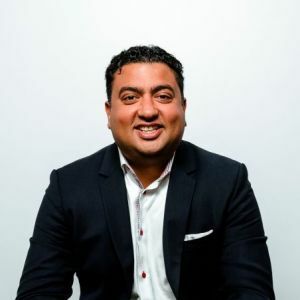 He is on the Board of Directors for the Ontario Association of Food Banks, sits on the SickKids Tech and Innovation Advisory Council, and is a member of AceTech Ontario. Sheetal is also an advisor to DMZ Playbook and the Legal Innovation Zone at Ryerson University. Sheetal is committed to fostering growth, diversity, and technological empowerment in Toronto and abroad.